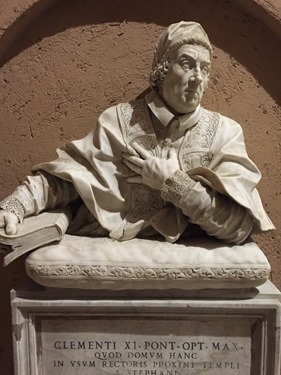 This week I have been in Rome for meetings leading up to the Consistory for the Creation of New Cardinals tomorrow, Valentine’s Day. 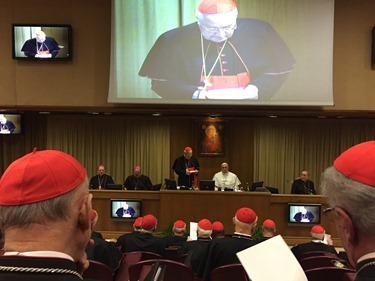 As I mentioned in my last post, from last Friday to Sunday we held our first plenary session of the Pontifical Commission for the Protection of Minors. — Msgr. Robert Oliver from the U.S.
— Krysten Winter-Green from the U.S. They all are very competent, dedicated, and passionate people. It was a very productive meeting and there were a number of different ideas set forth by the group. I am so pleased to have this larger and more diverse group, which I know is going to enrich our work. I was very pleased with the spirit of the different commission members and very grateful for their commitment. As I mentioned last week, on Saturday we gave a press conference to update everyone on our progress. I am very grateful for Sister Kayula and Peter Saunders for sharing the stage with me along with Father Lombardi. 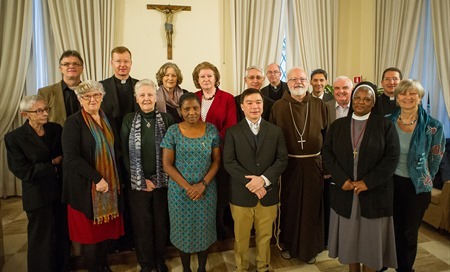 On Sunday, the commission members celebrated Mass together at the Church of St. Stephen of the Abyssinians within the Vatican. It is the church of the Ethiopian Catholics (the same rite as the Ethiopians and Eritreans who gather every Sunday at the Cathedral of the Holy Cross in Boston) and is just behind the Pontifical Ethiopian College. The church has been used by the Ethiopians for about the past 500 years, though the history of the building itself goes back nearly 1,500 years. 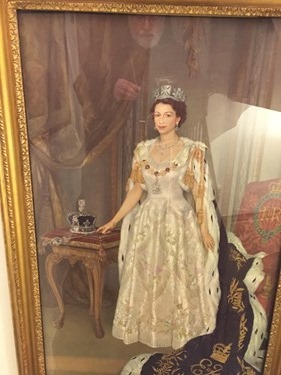 Thursday, along with many of the new cardinals, I was invited for dinner at the British Embassy to the Holy See. There were a number of different bishops there from nations in the British Commonwealth as well as the representative of the Archbishop of Canterbury. 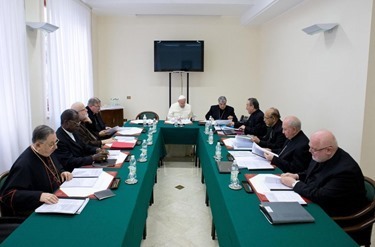 Following our meetings of the commission, we entered into several days of meetings of the group of cardinals advising the Holy Father on reform of the Roman Curia. As always, the Holy Father was with us throughout our meetings, except for Wednesday during the General Audience. 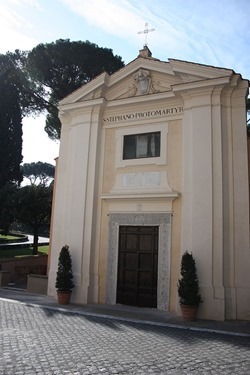 We are still working on several recommendations for the reform of the Curia, as well as on a number of other issues that the Holy Father has brought before us. 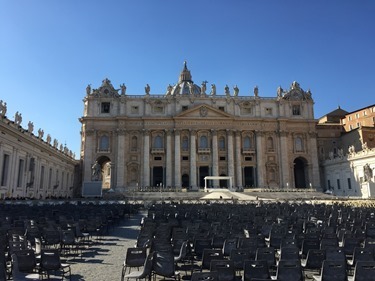 Finally, yesterday and today we had the consistory of the College of Cardinals. It was an opportunity to share with them what has been accomplished over this last year around reforms of the curia, the Vatican Bank and finances, child protection, as well as a number of other proposals that we have been dealing with. For my part, I gave about a 40 minute report on the work of the Commission for the Protection of Minors, after which I answered questions. There was a great spirit among the cardinals. They were very happy to hear what was happening and anxious to make their suggestions. 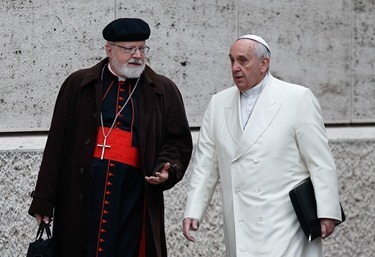 Of course, much of what was discussed in the consistory must remain confidential, but Father Lombardi has done an excellent job of keeping everyone updated on our meetings. You can read his updates here if you want to find out more. 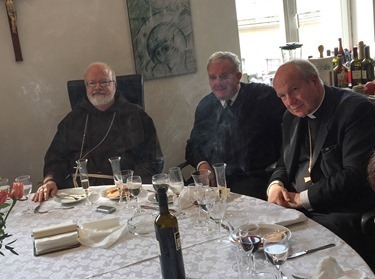 During the break today, Kiko Argüello, one of the initiators of the Neocatechumenal Way, invited me for lunch along with Cardinal Schönborn. We had a very nice talk but, of course, we had to head back right away to the Vatican to continue the consistory. Tomorrow will be the ceremony for the creation of new cardinals and Sunday will be the Mass with the Holy Father. I look forward to sharing my reflections on those events with you next week! Thank you for making yourself and the Commission for the Protection of Minors available to comments. We need as much help as possible. I have been a missionary priest in Mexico for the past 38 years. The sexual abuse of minors is horrific here. Please help us! Give us some alternative on what to do to save the children here from the abuse of clergy members. Thank you Brother for your service. Your love for the Church and God keeps me “right-sized” in my service to the poor. Keep sharing! Thank you, your Eminence, for your service to the Church on the world level. 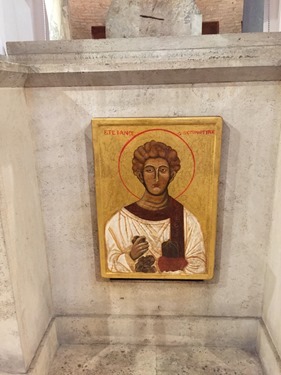 When in Rome, though, please do not forget to pray for the needs and intentions of the newly installed 10th Bishop of Burlington, the Most Rev. 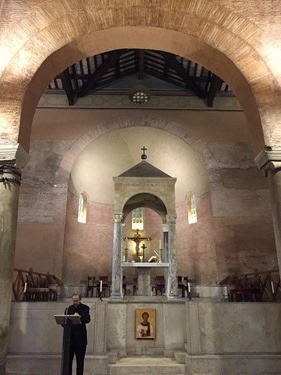 Christopher Coyne, at whose installation Mass in Burlington, Vt you presided on January 29. As a lay Vermonter, I have pledged to pray for him daily, but your prayers would have more merit, as at Masses you celebrate. Thank you. Seguimos orando para que Dios y la Virgen bendigan su trabajo a nivel mundial en nuestra querida iglesia.